« Time to book the Banquet date! 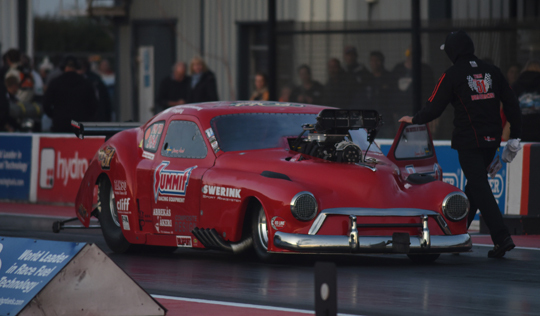 Andy Robinson raced to the number one qualifying position in Pro Modified at the first day of qualifying for the European Finals, the sixth and final round of the FIA European Drag Racing Championship. 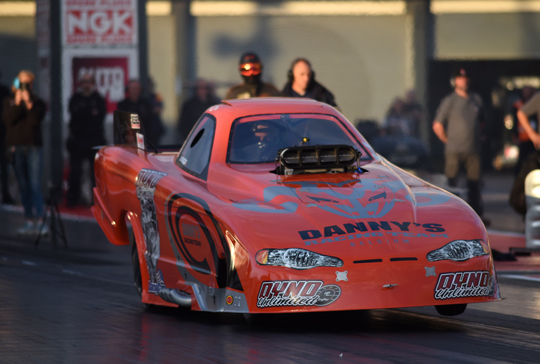 In Top Methanol Dennis Habermann was quickest at Santa Pod Raceway. Top Fuel and Pro Stock didn’t run, as after a very long rain delay, there was too much moisture in the air to run safe for these two categories. 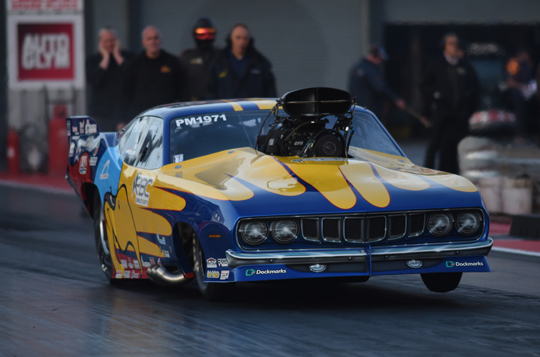 It was an extremely difficult first day of qualifying at Santa Pod Raceway for the European Finals, the sixth and final round of the FIA European Drag Racing Championship. Before the first cars could start, rain and heavy showers made racing impossible. It was not until 7 PM before the Top Methanol and Pro Modified categories were called to the start line for their first round of qualifying. 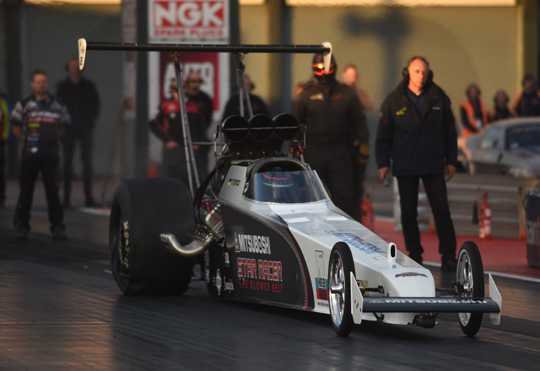 The hard work of the Santa Pod track crew was rewarded with some very good elapsed times, even if the track and air temperatures were going down rapidly. In Top Methanol Dennis Habermann stormed to a great 5.43 seconds elapsed time, only a bit quicker than his brother Timo Habermann, who recorded 5.48 seconds. Jonny Lagg is the number three qualifier after one run, with Sandro Bellio in fourth position. With this qualifying run Timo Habermann also secured the FIA European Top Methanol Championship title. 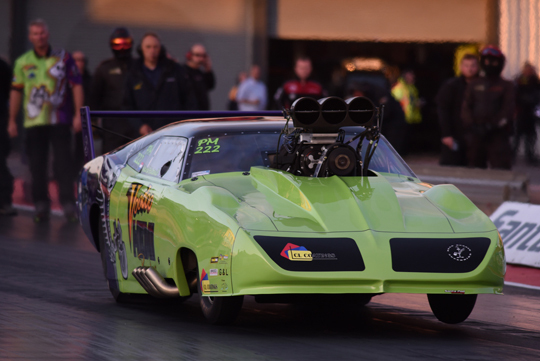 In Pro Modified home favourite Andy Robinson stormed to 6.07 seconds to take the lead. Bruno Bader is the number two qualifier with 6.09 seconds and Marck Harteveld once again showed his great form by recording a great 6.10 seconds to secure the provisional number three qualifying position. 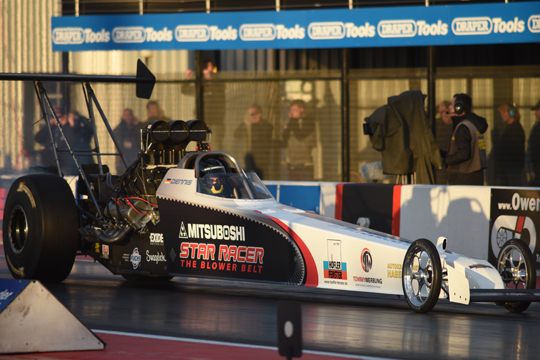 Michel Tooren (6.21 seconds) is fourth, Kim Kristiansen fifth (6.22 seconds) and the current number three in the championship David Vegter sixth (6.25 seconds). 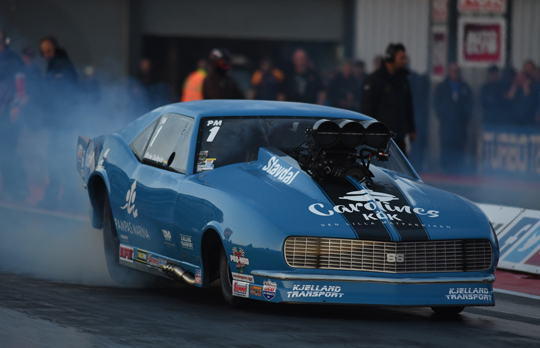 Michael Gullqvist, the current leader in the FIA European Championship is only in 14th position, but this was enough to clinch the 2017 Pro Modified title. Jimmy Ålund, the current number two in the championship, had to stop his car at the start line and is not qualified yet.